Beyond Romance: What The Dickens? … Christmas! Charles Dickens and his wonderful books influence Christmas celebrations to this day. Many families include reading The Christmas Carol aloud, going to a play of it or watching one of the movie versions as part of their holiday traditions. Galveston, Texas goes one step further, bringing the merry images in Dickens’s books alive in the annual Christmas festival, Dickens on the Strand. 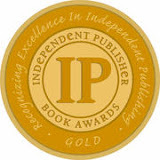 Readers of Steampunk and Victorian romances will feel their senses reeling with all the sights and sounds. You’ll find musicians playing or choirs singing at every corner. Yummy treats are to be had such as spiced wine, roasted chestnuts, and English toffee. It isn’t all about the well to do in their Christmas finery. The beggars and the chimney sweeps frolic in the streets as well, getting their jolly on. Galveston , Oh Galveston, I still hear the carolers singing. I still hear the bells ringing. I dream of more old fashioned fun, in Galveston. Galveston, Oh Galveston, I still hear the children laughing. Still see the gentlemen dressed all dapper and dashing. as her carriage rolled on the Strand, in Galveston. There I am holding a replica civil war gun, in Galveston. Speaking of Dickens, The Christmas Carol is not only a holiday book it’s also a good old fashioned ghost story. One of the best ever. 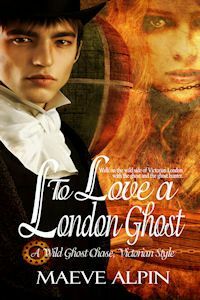 Another fun, heartwarming ghost story set in the Victorian era is the Steampunk/Romance, To Love A London Ghost by Maeve Alpin. I love the steam punk addition. I have just started reading them but they are fascinating. Thank you for your comment Debby. I love reading and writing Steampunk, it's a fun genre. I looked for you but it was so crowded on saturday! did you have a good time? we watched the parade across from steampunk square. Fun! Thank you Tammy for your comment. I appreciate your kind words. Sorry I wasn't here earlier to welcome you. Sometimes work gets in the way of life! I love your pictures. The book cover's wonderful, too! Thank you Lisabet, I appreciate it. I'm happy to be here today. I was going to comment anyway, but the possibility of reading your book is an added bonus ... I've often toyed with the idea of a corporeal and non-corporeal romance, but never came up with a crossing-the-boundary gizmo that would work for me. Your 'phantasm debilitater machine' has definitely piqued my interest! Wow! This is such a great way of celebrating Christmas! Thank you for sharing and thank you for the giveaway! I'd love to have the chance to read your book - it sounds very interesting and intriguing. Widdershings, thanks so much for your comment. People seem to really like that phantasm debilitater machine. I had to think hard about how to do a corporeal and non-corporeal romance especially with the love scenes. I have their first as ghost and man which has limits, then they go to the Otherworld where the ghost, Cerwiden, has a solid body while she's there, and the last love scene is after a body transformation so it's of a mortal woman and man. 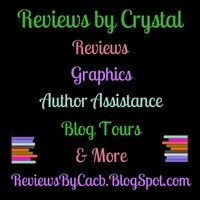 I'd appreciate feedback from anyone who reads it as to how they felt the loves scenes worked in these three different ways. I hope it makes the book even more interesting. Thank you Farida for your comment and your kind words. I really appreciate it. Dickens on the Strand really got me into the Christmas mood and I had a blast. They have it every year and I hope to go next year. I love Dickens. I love a good ghost story. And I love your cover, Maeve. Can't wait to read the book! Every time Sexton touches her, his hands pass through her misty body. I'm really looking forward to finding out how they solve that problem. Thanks for telling us about the Galveston tradition of Victorian Christmas (& posting pics). It sounds like a lot of fun. Gah. I tried posting a comment before, with no luck. I hope this works. A romance between a ghost and a human from different centuries sounds intriguing. Thank you so much Reb. I really appreciate it. Dickens on the Strand is so much fun and I had a lot of fun writing my Steampunk Ghost story, To Love A London Ghost. I agree about the cover, I love it. Dawné Dominique is the head cover artist at Eternal Press and she did the cover. She's so talented. Thank you so much for you comment. I found coming up with a solution to the issue of Cerwiden's transparent body when it came to love scenes to be quite a challenge. Thank you so much for you comment. I appreciate it so much. I had loads of fun at Dickens on the Strand. I also had a lot of fun writing To Love A London Ghost. Ghost have always intrigued me too. Thank you so much for your comment. I appreciate it. I'm so glad you liked the pictures and I did have a wonderful time. You and everyone who's commented is entered in the giveaway for To Love A London Ghost. Thank you. Hi, I don't think I have ever read a steampunk book but I think I have been missing out!!! Jennifer and Brandy, thank you both so much for your comments. I really appreciate it. I have to say Dickens on the Strand is a lot of fun. Just like there so many differnt types of people in costumes at Dickents on the Strand, there are a lot of different type of Steampunk books and I think everyone can find some books within the genre that they'll love. I really enjoy the genre both in reading and writing Steampunk books.